A few years ago, after taking a well-deserved golf vacation in sunny Myrtle Beach, South Carolina with some great friends – I maxed out my Tax Free Savings Account (TFSA) for that calendar year. I did so because, after talking to my friends on this trip, I told them this was my preference and my big money goal for that year. They were supportive of that. They know all about the never-ending TFSA vs. RRSP debate; they are smart money guys. My position on this subject was rather simple – I prefer to maximize my TFSA before focusing on my RRSP because of the present day and long-term tax (free) benefits of that contribution. First of all, I want to say I’m a huge believer in savings for long-term investment purposes. This site is dedicated to that stuff. In this light I think both accounts work: TFSAs and RRSPs are excellent vehicles for long-term wealth creation. TFSAs can be self-directed investing accounts don’t you know – they don’t have to be a savings account. Heck, screw the debate and max out both accounts if you can! That’s a tall order though…which brings me to this. You do not receive any tax-deduction from a TFSA contribution; TFSA contributions are made with after-tax dollars. Any income or gains earned inside your TFSA (from interest, dividends or capital gains) are tax-free as the name of the account suggests. Any withdrawals from your TFSA are not taxable to you. If you make a withdrawal from your TFSA that amount will be added to the following year’s contribution room. As soon as you’re 18 years of age or older, you can have a TFSA. There is no age maximum for this account – you can own one (or many TFSA accounts) as long as you live. TFSA withdrawals are not counted as income. Phenomenal stuff right? Yeah, I think so. Contributions to your RRSP are not counted as income; RRSP contributions receive a tax deduction to reduce taxes payable. Any income or gains earned inside your RRSP can grow tax-free until withdrawn. Withdrawals from an RRSP are taxable to you. They will be taxed as income regardless of source (from interest, dividends or capital gains) at your marginal tax rate. You must convert your RRSP to a RRIF (then start withdrawing), buy an annuity or cash out this account in the year you turn 71. So there is an age maximum on this account. If you decide to focus on your RRSP, which is great, then you need to manage the RRSP-generated tax refund well – it’s the linchpin in this debate. The math says with all things being equal — particularly the tax bracket you’re in when contributing to either account and the tax bracket you’re in when withdrawing from either account — the RRSP and TFSA are a dead heat. The problem then becomes your behaviour. If you spend the RRSP-generated refund you’re investing less than you think and you’ll be taxed on all withdrawals. If you put $300 per month into the RRSP for the year, that’s a nice $3,600 contribution. You’ll get a $1,440 refund (40% of $3,600). *Example for illustrative purposes; your marginal tax is amount of tax paid on an additional dollar of income. As income rises, so does the tax rate. This is different than a flat tax rate where you would expect to pay the same tax regardless of what your income is. When your $1,440 cheque arrives, you decide to spend it on a trip to Cuba to escape our long, cold-winter. (I’ve been to Cuba it’s very nice.) When you do that however just know this $1,440 refund is effectively borrowed money – a long-term loan from the government they are going to come back for. If you always spend your refund you are undermining the effectiveness of RRSPs because you are giving up your loan for tax-deferred growth. A refund associated with your RRSP contribution should not be considered a financial windfall but present value of a future tax payment you must make. 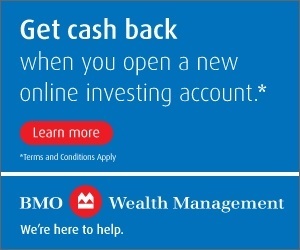 Reinvest it back into your RRSP (great bang for your buck). Pay down your mortgage (a guaranteed rate of return on debt + interest). Contribute the RRSP-generated refund to fund your TFSA contribution. With a maxed out TFSA account every year I’ve already taken one of these decisions out of the equation. I’ve pretty much determined I either 1) reinvest the money back into the RRSP or 2) pay down debt. If you typically spend the bulk of your RRSP-generated “gift” consider prioritizing your TFSA over your RRSP because of the present day and long-term tax (free) benefits of that contribution. This is not the entire debate but a really important part of it. Want to learn more about TFSAs, RRSPs and what investment accounts might be right for you? 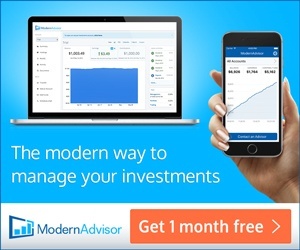 What about how to use robo-advisors to automate your investments? What about getting a great mortgage deal? Continue to subscribe to my site to learn more! What’s your stance of the TFSA vs. RRSP? Invest in one? Invest in both? Why or why not? 34 Responses to "I’ll continue to maximize my TFSA first because…"
I agree focus on the TFSA especially if you have a low income. For me I need to focus more on the TFSA and I picked up a part time job to help me with this and also help me increase my savings. I think the TFSA is great for low-income, to stash cash if/when possible. I think the TFSA works for middle-income earners; they should always try and max it out. I think the TFSA works for high-income earners and those making good money ($100k) should strive to max out both accounts. You seem to be determined Matthew – good luck on that savings rate. I think the TSFA approach is the. You can invest it and your gain are tax free and can be withdraw without paying anything. I think RRSP is good when the tsfa is max out or you when to use the RAP program to buy your first home. As always thanks to writing your post, they are awesome to read. I think the RRSP is great for higher-income earners but I still believe, given tax-free is better than most things, even high-income earners should strive to max this contribution room out. Thanks for the kind words about the site! We used both of those vehicles. Plus RESP and RDSP. Just seemed like the smart thing to do at the time. I have a stupid question about RRSP’s. When contributing to an RRSP, that money is already after tax cash I’m using to invest. I get the refund on my income tax, but then I’m taxed again on withdrawal (maybe at a different tax rate as my income is lower). So does this initial principle not essentially get taxed twice eventually? Maybe I’m not fully understanding this, but if this is the case, then the TFSA is definitely superior. Getting the refund for the RRSP essentially converts it to being “untaxed”. When you access it later and gets taxed, it merely restores the taxation. That is why how the refund is used is so important as Mark pointed out. The refund is never really yours so don’t blow it. I look at the RRSP-generated refund as a “government loan”. Meaning, when you contribute to this account, you get a tax deduction at your current tax rate from our government for that contribution amount – and that government loan can grow tax-deferred until you withdraw money from the RRSP. When you withdraw money from the RRSP, in retirement presumably, you might be taxed at a different rate vs. the rate of contribution (could be lower, could be same, could be higher). BUT – this is why I stress if you don’t manage the RRSP deduction – you are essentially spending the government loan now and you’ll have to pay the government back with your own money contributed to the account. If you consistently spend the RRSP-refund money then with all things being equal the TFSA wins as a retirement account. First or second is not really relevant if one is going to do both anyways. If one has to choose one over the other then several factors that come into play to determine which path to take and the importance of those factors vary from situation to situation. I too wish TFSAs had been around in my early earning years but knowing myself I would have availed myself to both anyways. I hear ya….ah well…it’s a gift now! Good review although I have a few comments. I encourage people on both of these but individual circumstances will dictate which account now may be more of priority, or when in their savings lifetime that might change. In principle you’re right about the RRSP refund but I would frame it differently since your argument assumes the person is not going to make a RRSP contribution that year and spent the money on a trip. It doesn’t matter what you do with the actual RRSP tax refund as long as you are maximizing or contributing at least the refund amount to your RRSP that available year, and repeating this pattern annually (the savings behaviour). The money can come from the refund, other savings or ongoing savings contributions. In any case it does not change the primary benefit of the RRSP for most people- reducing your tax bracket when you contribute, and having the tax sheltered principle and growth taxed at a lower rate upon withdrawal when your retirement income is likely lower (most people). Although a wise investor would utilize this refund money as soon as available whether to invest now (more compounding), pay off debt now (less interest), etc. IMO, it’s only partially correct to state the RRSP refund is a loan from government since most people are likely at a lower tax rate in retirement, either personally, or as a couple, with spousal contributions or possibly income splitting with pension(s). (Raises hand) Therefore they could gain the difference between the working income tax rate and retirement tax rate on their contributions through the years. Having said that no one knows for sure what tax rates will be into the future. To me the real linch pins with both the RRSP and TFSA is to start early and avoid raiding these accounts before retirement to benefit from the most compounding time, and to also ensure you’re suitably invested for the long term. If you can’t get some decent gains in your TFSA (think .7% savings rate) the tax free part isn’t worth much even over the long term. That’s where the RRSP may have a behavioural advantage, since there is more of a disincentive to withdraw while working (unless you become un(der)employed) vs. the TFSA which everything I’ve read is commonly tapped for various spending (maybe that trip to Cuba) along the way to retirement, and is often used with low return investments. I would argue this might be an even worse issue to overcome also since there is no immediate tangible benefit to TFSA saving (ie.RRSP tax refund) or penalty to avoid tapping TFSA. In any case Canadians could do a lot better for both these accounts since only a fraction of the available room is utilized. There are lots of other considerations of course. Now that I’m retired I am using funds from RRSP withdrawals to contribute fully to TFSA’s and hope to do this for many years to come. I would agree for the most part. I think though if you’re not reinvesting inside the RRSP, using the RRSP-refund to fund the TFSA, pay down debt then you’re not managing the government loan well. “Having said that no one knows for sure what tax rates will be into the future.” Absolutely. This is why saving is always a good thing. Your health is always a wildcard and an unknown. Great article and website Mark. I have been reading your website for a while now but never felt the need to leave a comment, well until now. My wife and in I are in a very great financial position (considering we are in our early 30’s). We always max out the TFSA’s first and then deal with the RRSP contributions. TFSA contributions are always done on Jan 1. Its like a new years tradition for us. Over the last couple months we have been doing some financial planning and a “financial adviser” told us we should stop contributing to RRSP’s. The reasoning being that when we retire the RRSP will have grown to a very large amount, and we will essentially be in the same tax bracket we are in now. I ran my own calculations and the “adviser” is correct in that we will be in the same tax bracket in retirement. Sounds just like us in our thirties. Both had great jobs with fully indexed DB pensions in the future. We were also told that investing in RRSPs was going to end up costing us more than it saved. Against advice, we invested the max every year. Then at 39 DW was disabled with arthritis and other ailments and no longer working by 42. These RRSPs will be very helpful in the future. IMO, a person never knows what the future holds and having options is always good. Ditto 🙂 See my comment to Chris. Thanks for reading Chris. Always great to hear from readers, I learn from everyone (at least I try to). The way I see it – unless you can predict the future – because you never know what’s around the corner – having maxed out money in your TFSA and RRSP will provide you with some options down the road. What happens if there is a long-term disability? What happens if you lose your job? I’m not saying such things will happen (I hope they don’t for you or me) but because the future is always cloudy – having money provides options for employment and your career. Jokingly, I’ve always thought that having a tax problem, if that’s your biggest issue in retirement, is a good problem to have. I still think that way. In my early 40s now, our TFSAs are fully maxed, RRSPs are closed to maxed (just my wife’s left) and I have a decent non-reg. account. The house will be paid off in hopefully 5 years. We also have combined 30+ years (16 years each) into pensions. We might decide to stop contributing to our RRSPs in a few years, or not, but at least by contributing to date we’ll have the option to do so. I hope that offers a perspective – but overall – it sounds like you’re doing great. Kudos to you. Hey Chris, I know the financial situation of only 4 people (all retired (31, 15, 13 and 12 years)) and only one is in a lower tax bracket now than she was while working. Unfortunately that is my wife. However, with the provision for sharing retirement income I have pushed her into a higher tax bracket and I have dropped into a lower one. As your RSP grows It pays to take a hard look at that possibility. I have some concerns about your calculations of the tax refund generated by a contribution to an RSP. “Consider working in the 40% tax bracket”. I ran the numbers through a tax calculator (http://www.taxtips.ca/calculators/basic/basic-tax-calculator.htm) and here are the results. Income: $250,000, tax payable: $97,191 (38.9%). Make a contribution of 3,600. Remaining taxable income $246,400. Tax payable: $95, 264. Tax refund: $1,927. I think it is a logical error to use the marginal tax rate for this type of calculation. Every dollar earned at or above the marginal tax rate is not taxed at 40%. Instead the tax burden on that dollar is distributed across all the tax brackets. I’m not saying that the use of RSPs is bad, but expectations should be more realistic. Or, maybe I’m missing something. You’re not missing anything John and I appreciate the details. My example was very simplistic. Your marginal tax rate is the percentage of tax applied to your income for each tax bracket in which you qualify. In essence, the marginal tax rate is the percentage taken from your next dollar of taxable income above a pre-defined income threshold. So, back to your math, I have updated the post to clarify that your entire income is not taxed at your marginal tax rate – it’s not a flat tax – but this examples was provided for illustrative purposes. I maximize both my TFSA and RRSP yearly. Any refund from my RSP contribution is put back into my RSP. I’ve been doing this for years. Smart Beth. From the experiences I’ve read from others, who are retired or who were able to retire young, most of them got there with a very high savings rate using RRSPs, taxable accounts or real estate investments. Having a maxed out TFSA and RRSP is likely a great route to go. Your “real” marginal tax rate might be 60-75%+ for some of your income depending on the child allocation from Liberals, tax credit for childcare and many other programs. When you have children, especially young children in daycare, RRSP contributions can be gold. Good points…and interesting links. Thanks for sharing Cash. I only use TFSA and non registered accounts. I don’t use of the RRSP because I don’t want the government to dictate how I can use my wealth under the cover of a fake golden tax reduction carrot (since you pay them when you withdraw it). The second main reason is that I want my wealth always being accessible so a RRSP is a double no-no. Freedom has a cost, but I prefer to pay it. Certainly RRSPs are not for everyone and as a tool they are more focused then a TFSA. But like any type of tool, if one does not know what it’s for, and/or how to use it, they are probably better off not using it. Much like a “handyman” using a steak knife as a screwdriver to wire in an electrical box with the power on, you might get into trouble. They worked (and continue to work) very well for me. I think not using the RRSP depends on your circumstances and as long as that is made via an informed decision – absolutely no problem with that! Oh that the TFSA had been around years earlier. We followed all of the advice and maxed out our RSPs for years (the company policy of matching contributions encouraged that). Now we are sitting on around $1m in RSPs and mandatory withdrawal requirements are on the horizon. I certainly earnt much more in working days and would have paid more taxes but the need to consider taxes is an issue that we could do without nowadays. $1 M in RRSPs is a good problem to have Richard, but I can appreciate the tax headaches that come from that.